Allegedly Serbia is rapidly becoming the most talked about birding destination in Eastern Europe, however there is stiff competition, especially from the more established countries of Hungary and Bulgaria. However, Serbia has a special attraction, especially in Winter. 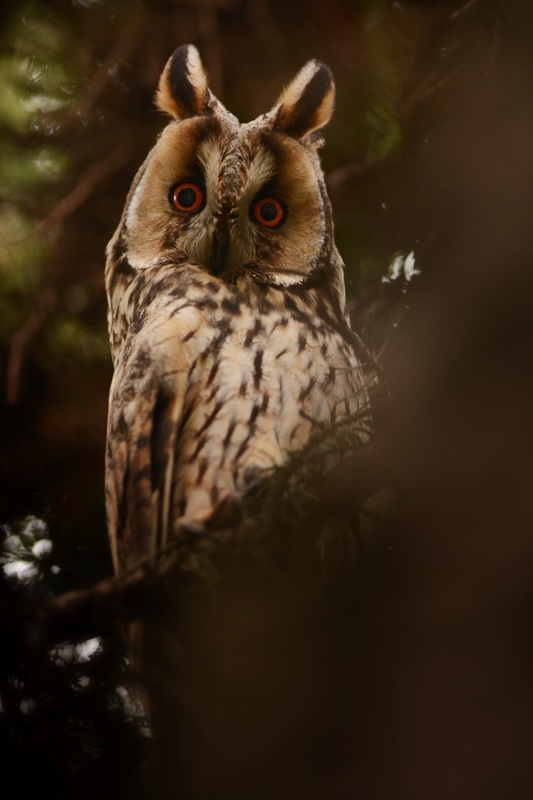 It is un-officially the best place in the world to see Long-eared Owls, with in excess of 20,000+ owls spread across some 400 roost sites in the northern Vojvodina area. In one town close to the Romania border, namely Kikinda, the town’s main square holds upwards of 750-800 Long-eared owls each winter. The reason for such a big winter influx is the traditional farming methods still used in this part of Europe, meaning the owls favourite food, field voles, are abundant. From what I believe is a world first, the town square has been designated a protected nature reserve, remarkable! 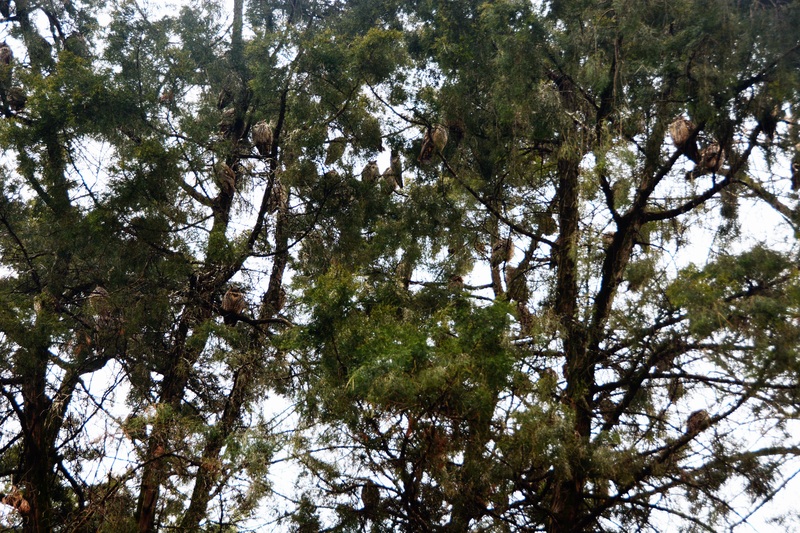 Above, one of the trees in Kikinda main square, holding a large number of Long-eared owls. Can you guess how many? There are many other birds to see in the same area, including Short-eared, Barn and Little owls, several species of eagles, buzzards and falcons, especially the enigmatic Red-footed falcon. Excellent info and photography Mark! Just a few remarks. There are up to 30.000 LEOs on around 400 roosts in the region of Vojvodina. Right now there are around 500 birds on that roost. You’re doing so well with your beautiful nature photos, I’m wondering when you are going to give up your day job! Thanks for your kind words Vaughn. Owls in the Pacific North West is on the hit list. Goodness! Serbia in winter just rapidly climbed to the top of my list of places I need to go! If you go check out Kopaonik, Tara, Zlatibor, Stara planina and Zlatar mountains in central, east and west part of country. Honestly, the Summers there are the best! Hi, during what period in the winter can you see the Long Eared Owls roosting in Kikinda?